Being a beauty expert I have to deal with so many customers inquiries. Most of them are definitely skin related. During all my working years I have noticed one thing, you need to have a smoother under eye area to have an attractive and good looking face. Even if you have beautiful eyes, long eyelashes, cute lips and fair complexion, you wont leave a refreshing impression if your under eye area is not in right shape. Due to late night chitchats, improper diet, TV, smartphone and other electronic devices usage your under eye area gets effected. Dark circles, patches and other such symptoms starts to appear. And the reason that’s even more common is the age factor. The first area of your face that shows effects of your increasing age (after your grey hair) is under eye area. So keeping all these factors in mind I always advice my customers to take care of your under eye area first to get a younger look and smoother presentation of your face. You must be thinking how ? Proper diet, proper sleep, managed working timings and ofcourse a good effective cream or serum for your under eye area. And the one I do recommend is ‘Vidaña Anti-Aging Eye Serum‘. Main reason of recommending this serum is its ingredients. I have gone through all the ingredients and haven’t found any that’s harmful for your skin or eyes (But still you should avoid any direct contact with your eye). 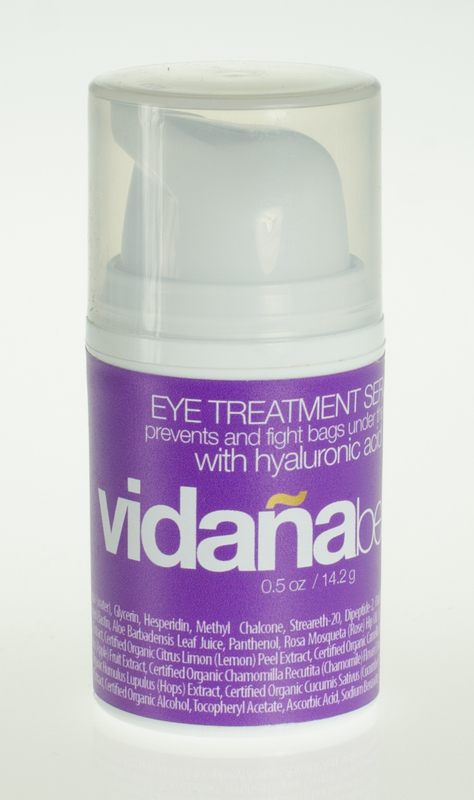 Apart from that Vidaña Anti-Aging Eye Serum is a perfect solution for smoother under eye area. The result will be faster than any other product you may use for same purpose. And its not temporary solution, it will help your skin stay younger and smoother for longer duration. And don’t forget to share your experience with this product on our social media groups.